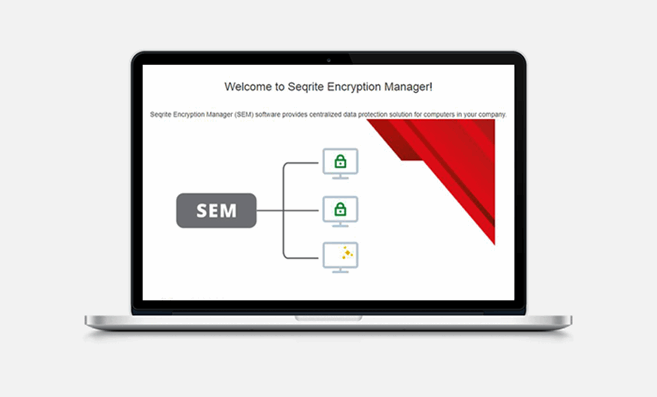 Seqrite encryption solution protects corporate data residing on endpoints with a strong encryption algorithms such as AES, RC6, SERPENT and TWOFISH. Full disk encryption supports Microsoft Windows Desktops and Laptops and prevents data loss occurring from loss/theft of endpoint. Removable Media Encryption encrypts entire contents on removable devices such as Pen Drives, USB Drives and makes it accessible to only authorized users. Encrypts entire contents of the hard drive. It secures all information on disk such as user files, system files, page files, operating system files, etc. Encrypts contents of removable media devices such as USB Drives, Pen Drives, etc. Allows access to encrypted files from removable storage devices on system where encryption agent is not installed. It is mostly useful when user is travelling and wants to access data from encrypted removable storage devices.